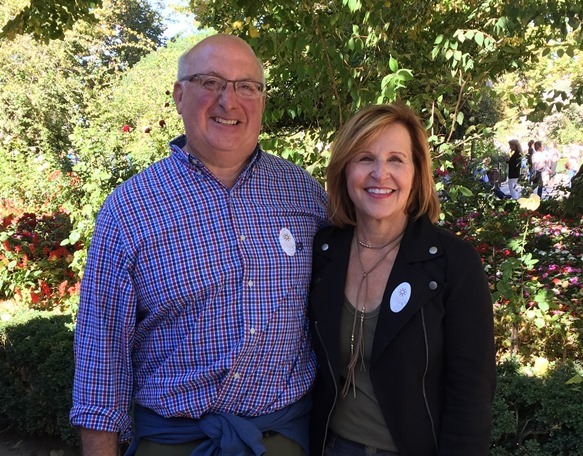 Since volunteering at SOS, Christine and Eric Siegel have gotten a better understanding of the challenges faced by people navigating the social services system in Washtenaw County. “SOS really serves an important role in helping people to manage not only food and housing support, but also by providing diapers and formula, bus tokens, assistance with utility bills and connecting people with the right services and agencies,” says Chris Siegel. The Siegels started volunteering in the food pantry in June 2017. Some of the tasks they tackle include: helping to unload the Food Gatherers’ truck on Mondays and scheduling food pantry appointments. Often the Siegels receive positive words of appreciation from families who receive food. They hope their volunteer service is making a difference in people’s lives and that it helps make life a little easier. Special thanks to Christine and Eric Siegel for donating their time to SOS. Without their consistent help SOS’s food pantry would not be able to provide food to families in need.